Ice Age Floods National Geologic Trail - Badger Mountain. 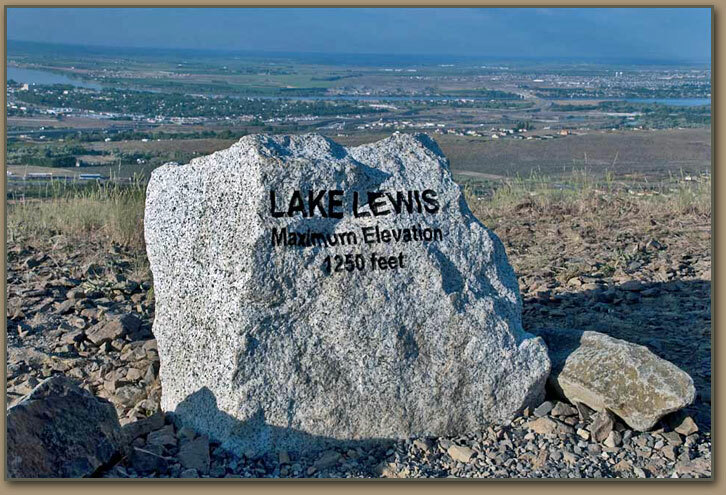 Lake Lewis maximum elevation (1,250') marker along Badger Mountain trail. Columbia River (345' Elev.) in the distance.